Another one of our psychedelic 3D tapestries that will blow your mind. This one is called Rainbow Ripple and it will look great hanging on your wall. 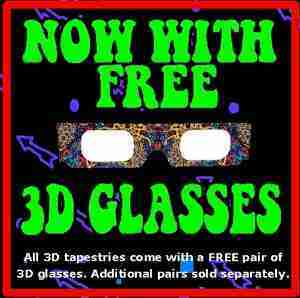 Get a pair of our optional 3D glasses and hang on to your seat! You will lose your mind. 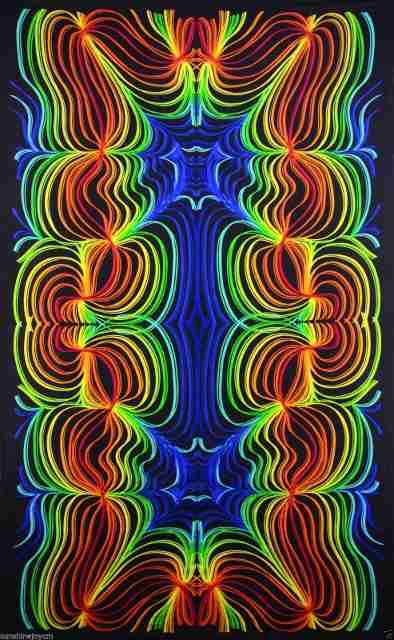 This mind altering tapestry measures 60" x 90" and has corner loops for hanging or fastening. Hang it on your wall, use it a festival, or take it to the beach, it has so many uses.